Santiago Fuente Bo was born in 1975 in Buenos Aires, Argentina. He was taught art in Centro Polivalente de Arte de San Isidro and Instituto Universitario Nacional del Arte, Bachelor in Fine Arts, and graphic design at University of Buenos Aires. 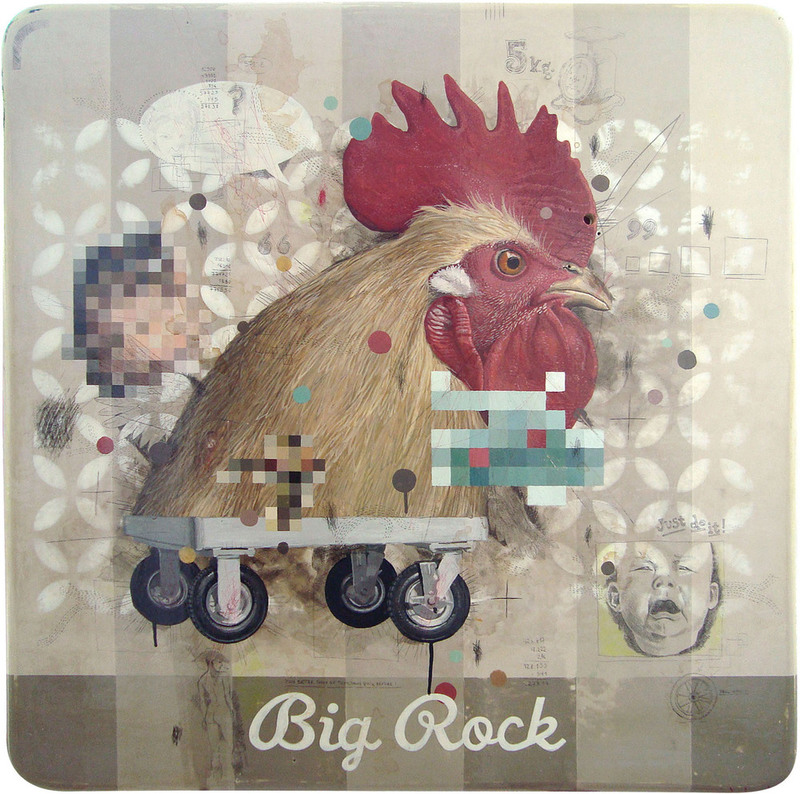 Since the early years, he worked as an independent artist, a graphic designer and illustrator. 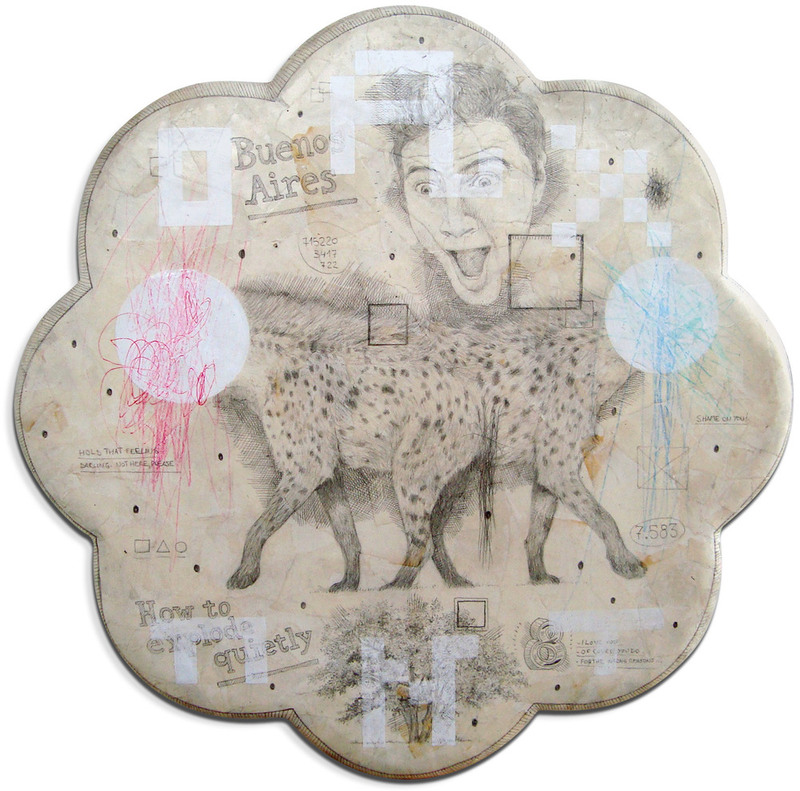 In 1998 he got an Art Professor Diploma at IUNA, Instituto Universitario Nacional del Arte, Buenos Aires, Argentina. Fuentas Bo has a unique style in that he marries photorealism with surrealism. His work speaks about memories. Santiago connects personal memories with collective images. He takes from his dream world, and ties his story in each piece, bringing memories alive with pop imagery in surreal conceptions. He tells stories with timeless effortlessness; something that may seem mundane but becomes conscious in his dream like world. 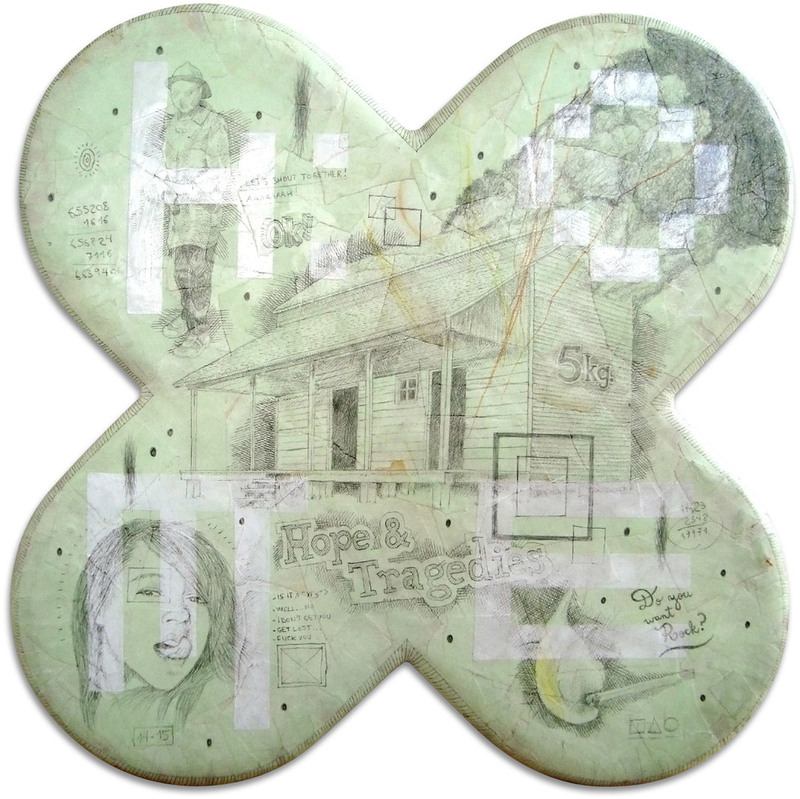 Fuentes Bo displays a graphic style as he starts creating with enamel, pencils and pens on wood or PVC, connecting the world of street art and graphic design that he comes from, and creating fantastic and delirious images with an urbane and contemporary sense of humor. His hallucinatingly refined depictions of animals remind us of Frans Snyders’ portraits; that’s how we have a Dutch still life in the midst of chaotic graffiti, randomly annotated supermarket receipts, slogans, pixels, and coffee spots. The result is paintings with object-like feeling. Pieces of something that could have a previous life. Half stories with no ending. A celebration of everyday life through everyday elements. After years working as illustrator and in the advertising industry, in 2011 he moved to Nicosia, Cyprus and set up his studio where he produces his artwork and teaches art. His work is part of private collections in Buenos Aires, Nicosia and Larnaca.